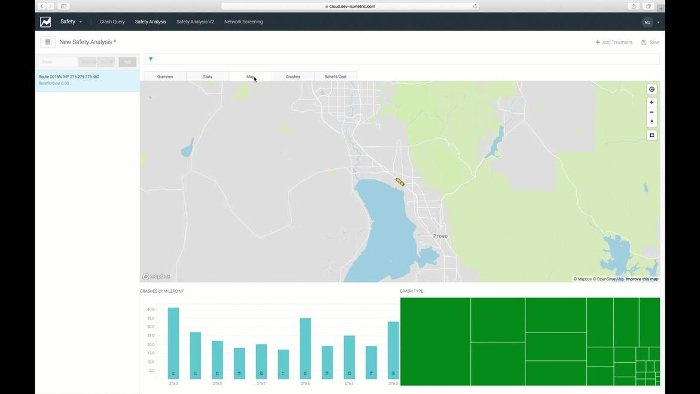 Utah-based traffic safety analytics systems provider Numetric has launched a new Safety Analysis application that significantly reduces the costs and time state and local agencies incur, while accomplishing their ambitions to reduce traffic fatalities. Currently, highways agencies are taxed by spending significant time and resources that are already scarce, to diagnose the root causes of crashes and try to create effective solutions to help remedy those collisions, a process that is a critical part of the safety management cycle. 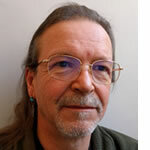 Safety engineers and designers often are left with having to prioritize roadway projects for evaluation since this arduous process consumes precious resources. Numetric’s new Safety Analysis application helps engineers and designers diagnose crash causes and provide recommendations for roadway improvement more quickly, allowing the safety analysis process to address all roadway projects rather than a select few. Using roadway data provided by state and local agencies, Numetric’s web-based application serves a list of recommended solutions based on built-in calculations pulled directly from the Highway Safety Manual (HSM), which is published by the American Association of State Highway Transportation Officials (AASHTO). The HSM contains concepts, guidelines and algorithms for analyzing crash frequency prediction and is incorporated into every state’s roadway planning, design, operations and maintenance decisions. 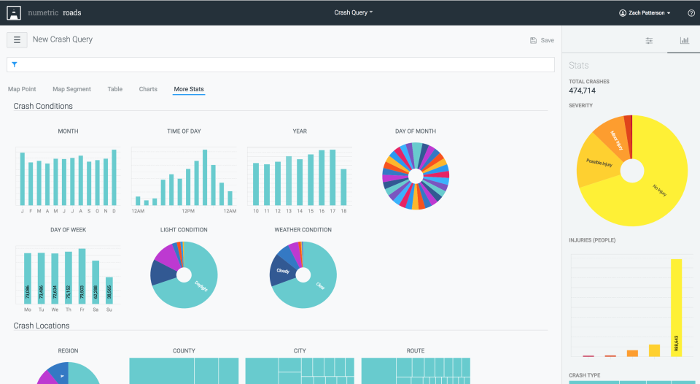 The new product is one of a suite of easy-to-use applications available through Numetric’s off-the-shelf, configurable, cloud-based Traffic Safety Analytics Platform, which are purpose-built to allow agencies to perform critical diagnostics faster and with more depth. The Safety Analysis app makes use of the HSM to give safety engineers and designers a starting point for exploration into safety solutions, as well as automatically calculate the cost-benefit ratio of improvements to particular roadway segments, right down to the mile marker. This allows the designer or engineer to mix and match treatments to find the combination that will prevent the most crashes. 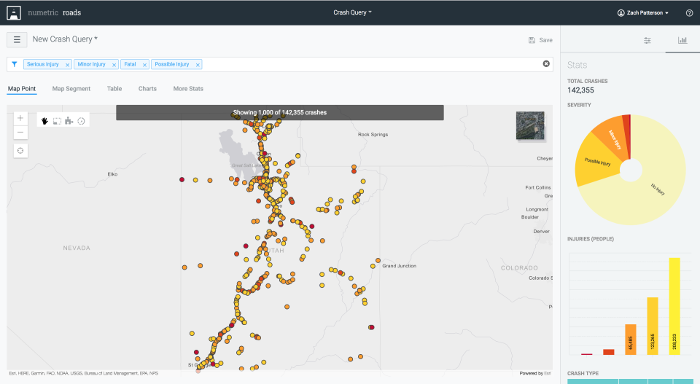 Originally formed by a group of Utah Department of Transportation (UDOT) engineers, Numetric’s development of the new app continues a series of product releases that demonstrate the company’s commitment to unlocking traffic agencies’ data, allowing them to more effectively convert safety funds into saved lives. The company is pleased to note that UDOT has elected to use the Safety Analysis application at launch.